First of all, there is the establishment of a force of 10,000 troops to prevent border crossings at the external borders or to carry out deportations. This is something completely new, because so far the Border Agency only has civilian staff. This „Standing Corps“ will be set up gradually. By 2021 5,000 officials are to be recruited, by 2024 7,000. They will report directly to the Warsaw Headquarters. In addition, the Member States are to send their own national officials to the „Standing Corps“ for two years. But should the border agency also be given more powers? Frontex can lead missions in EU member states and also act in third countries. In the past, one Member State within the European Union was always responsible for this, but now Frontex itself has police powers. When Frontex carries out missions, it has hitherto borrowed equipment and personnel in the Member States. That, too, is to change; the headquarters in Warsaw wants its own monitoring equipment, as well as aircraft and ships. They would probably be registered in Poland. How far has the plan progressed, who still has to agree? The regulation has been hastily whipped through the legislative process, which was unprecedented given the importance of this project! Both the Council of the European Union and the European Parliament’s Committee on Civil Liberties gave the green light. Parliament will nod off its plans as early as April, and the Council, too, will soon be confirming the regulation. What powers will the future border police have? One major change is often overlooked, namely the expansion of cooperation with third countries. The new regulation contains a whole chapter on this. Until now, Frontex has only been allowed to cooperate operationally with neighbouring third countries, and this is now being extended to non-neighbouring countries. The focus is on North Africa. 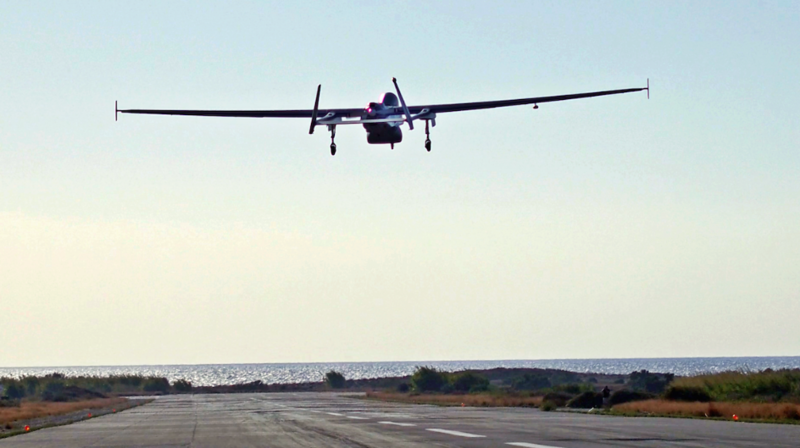 Frontex has reconnaissance aircraft stationed in Catania (Sicily) and also flies with drones in the central Mediterranean, but is not present there with ships. The strategy is clear: Libya, but also Tunisia and Egypt will become bouncers of Fortress Europe. In fact, Frontex is now flying for the Libyan coastguard. The same also applies to the military mission EUNAVFOR MED, which is withdrawing its ships but expanding its air surveillance. Can Frontex, as some fear, also be used for deportations from third countries to other third countries? No, that is the only deletion requested by the European Parliament. The Member States represented in the Council have swallowed this toad so that the regulation can be adopted quickly. As things stand at present, Frontex can only deport people to third countries if they are deported from an EU Member State. Jens Spahn of the CDU declared in November 2018 that the EU states should give up a piece of national sovereignty to „protect the external borders“. Will that be the case? The responsibility for monitoring the borders and for deportations will, of course, remain with the Member States. However, if a member state fails to implement Frontex „recommendations“, other governments in the Council may force it to do so. It was envisaged that the Commission could issue such an order. That was negotiated out. Where do you see the problem with Frontex? Is it the methods, the lack of parliamentary control? The new competences run counter to the EU Treaties. The agencies are actually only allowed to coordinate or create added value, but not to set up their own structures. It is also unclear how human and civil rights are to be defended. The European Union has not acceded to the Convention on Human Rights and cannot therefore be sued before the Court of Human Rights. That is very questionable under international law. Why is there so little contradiction here in Germany between the restructuring plans for Frontex and, for example, the new police laws in the Länder? That is really strange. However, the legislative process was also opaque and then came very suddenly. Now it is too late, because the main decisions have been taken in the last few weeks. The regulation will probably be published soon in the Official Journal before the European elections and will then be valid. This interview was first published by the German daily junge Welt.